WIDE Bay's "strong car culture” was the deciding factor for the organisers of the Australian Street Rod Federation to host their national event in the Heritage City. 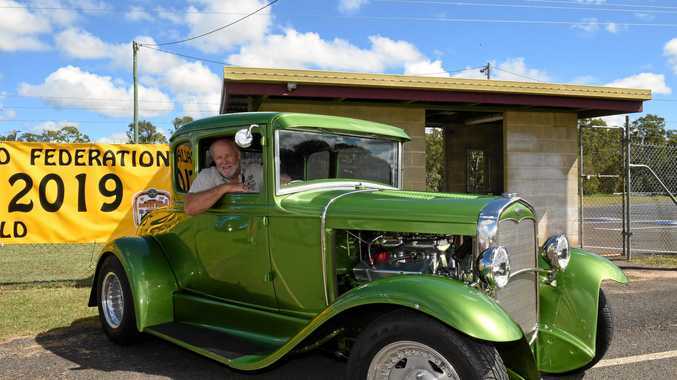 About 800 hot rods and classic cars will be polished to perfection and ready to parade at the Maryborough Showgrounds for the 2019 Nationals this weekend. The event will include a range of activities, including outdoor trade and novelty stores, show and shines, driving events, mini rods and even a ladies' pin-up competition. It will be the first time in history the event will be held in Queensland outside the state's south-east corner. ASRF 2019 Nationals chairman Ross Miller said no other location in Queensland was able to cater to the thousands of people expected to attend this weekend. "A hot rod traditionally starts from 1923 and goes to 1948, and from 1949-69 they become a classic,” Mr Miller said. "You'll see some hot rods that you've never seen before and never see again. "Some of them are over $300,000 and I'm not exaggerating. Fraser Coast acting mayor Darren Everard said locals should make the most of the event and make visitors feel welcome during their stay. He said the event was expected to pump millions into the local economy. "Events such as this provide great economic boosts to our region and the flow-on effects, if participants later return for holidays or to live here, are immeasurable,” Cr Everard said. Gates open from 9am until 4pm at the Maryborough Showgrounds on Saturday and Sunday.